Honey Cures Ragweed Allergy - Is it Too Tasty to be True? Honey Cures Ragweed Allergy – Is it Too Tasty to be True? In 2014, many allergy sufferers will try and meet the longer ragweed season with a new arsenal of products to relieve their sneezing, itching and coughing. And one of these wonder products won’t come from the pharmacy but the farmers market, as people turn to locally produced honey for a cure. However, according to Web MD, the theory that a spoonful of honey this summer will keep allergies at bay in the fall is mostly a myth. The notion of vaccinating against allergies by ingesting small amounts of pollen deposited in honey by bees has some scientific backing – but studies have shown little or no correlation to reduced allergy symptoms. The most obvious reason for honey’s lack of effectiveness is that it doesn’t possess the quantities or types of pollen required to immunize against common allergies. What’s the Buzz About This Year’s Ragweed Season? 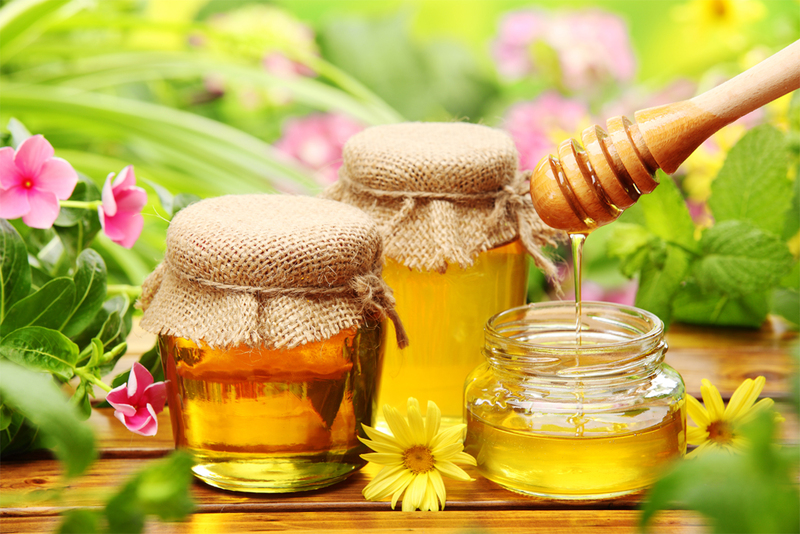 With or without a sweet tooth for honey, those with allergies will be looking for relief as summer 2014 draws to a close and hay fever symptoms begin. Known medically as allergic rhinitis, hay fever is primarily caused by an allergic reaction to ragweed plants. The plant is found in great quantities across the U.S. and experiences significant growth in the month of August, which is why many Americans find their symptoms at their worst this time of year. Unfortunately for victims of ragweed allergies, 2014 could continue a trend of increasingly agonizing symptoms. According to U.S. News and World Reports, some asthma and allergy experts say that global climate change could be increasing the ragweed season, meaning the plant will have more time to release pollen grains, which carry for hundreds of miles in the wind. The small pollen also easily makes its way into homes through open windows, on clothes and on family pets. While the cure for ragweed allergy may not be sitting in the pantry, there are other remedies that can at least reduce the severity of symptoms this August without a trip to the pharmacy. Essential Oils in the Shower: One relaxing way to feel better is a hot shower with a few drops of eucalyptus oil in the bottom of the tub. The water will wash off pollen that has collected on the body during the day while the steam and eucalyptus open up sinuses and moisturize dry nasal passages. Stinging Nettle: While scientific evidence is inconclusive, Web MD reports that taking supplements of stinging nettle at the start of ragweed season appears to help ease the severity of symptoms with fewer side effects than antihistamine drugs. A Whole-Home Air Purifier: An excellent addition to allergy and asthma relief, an air purifier installed in an existing HVAC system reduces the amount of allergens that are in the air. Because allergies are a direct reaction to pollen and other particulates, purifying the air should improve comfort in the house. For more information on whole-home air purification, total control of IAQ and available options for removing ragweed allergens form the home, visit Aprilaire.com. Also, find us on Facebook at Facebook.com/Aprilaire. Oh my goodness! So glad your daughter is okay. With allergies, it is always good to check with a physician before making any changes. Thank you for sharing. Previous Previous post: Can Ohio Couple Save Basement With Dehumidifier After Flood?